1. 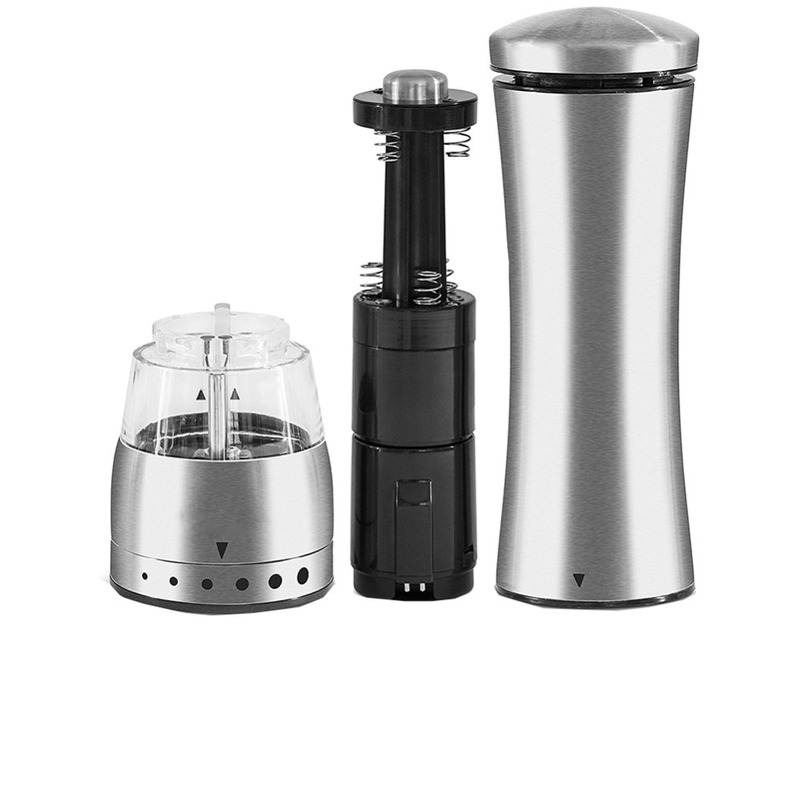 Made of solid stainless steel and premium clear acrylic, sleek but lightweight to use. 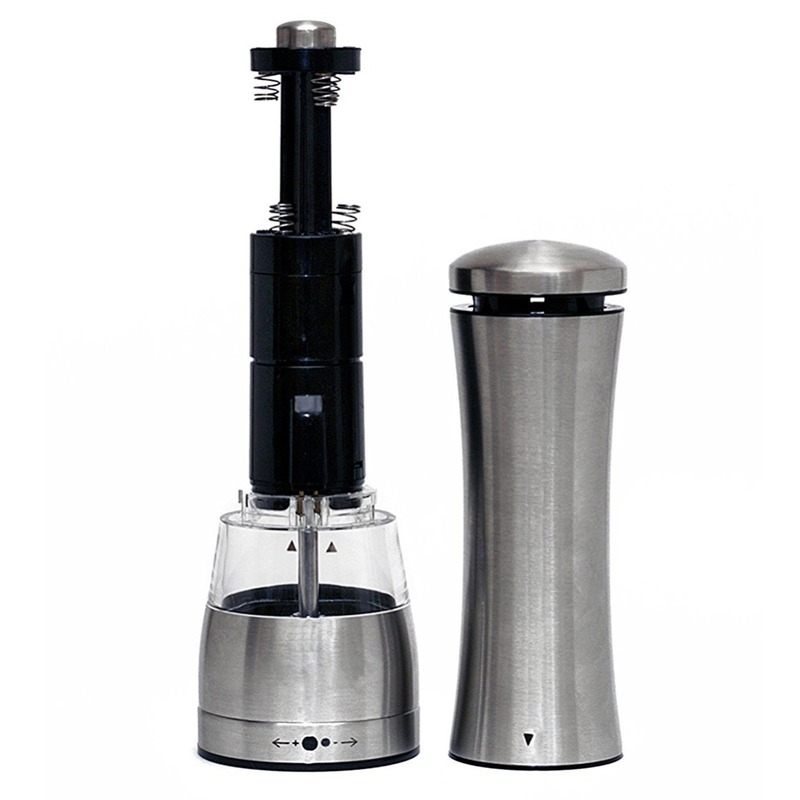 manual grinder goes well with any stainless steel appliances for any occasions. 2. 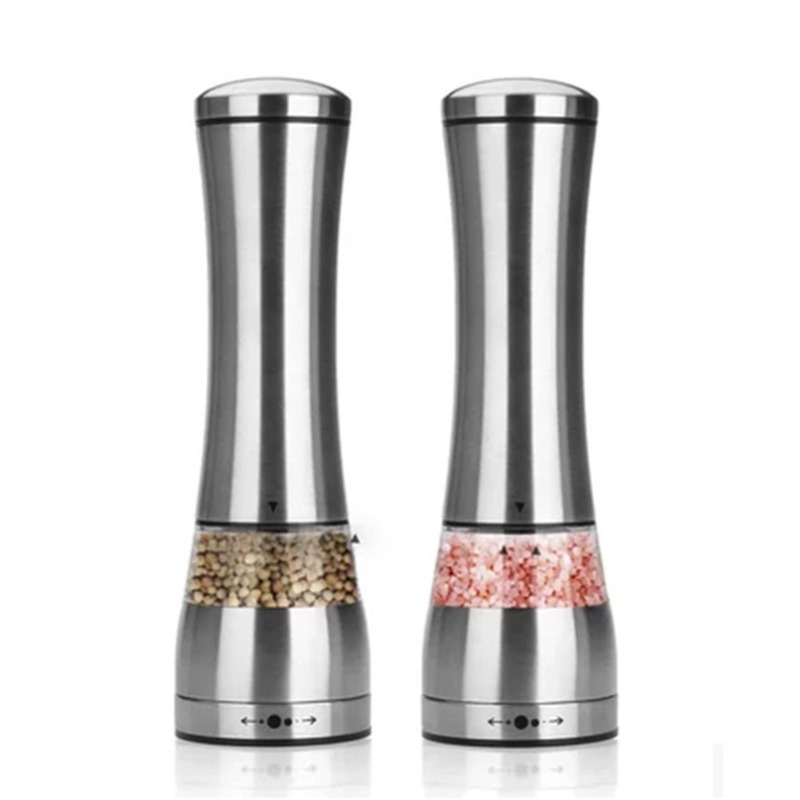 Without any rod down the middle, a long turning arm with wide open design offers a large capacity to fill more pepper, salt, herbs or spices for cooking and seasoning. With indicator, it is easy to twist off and snap lock to open and close. Moistureproof container on top end is designed to store spare pepper corns for next use. 3. Clear acrylic panel helps you see when to refill the mill. It is tough and durable, easy to clean. 4. A dial at the bottom of the grinder adjusts grinding from fine to coarse. 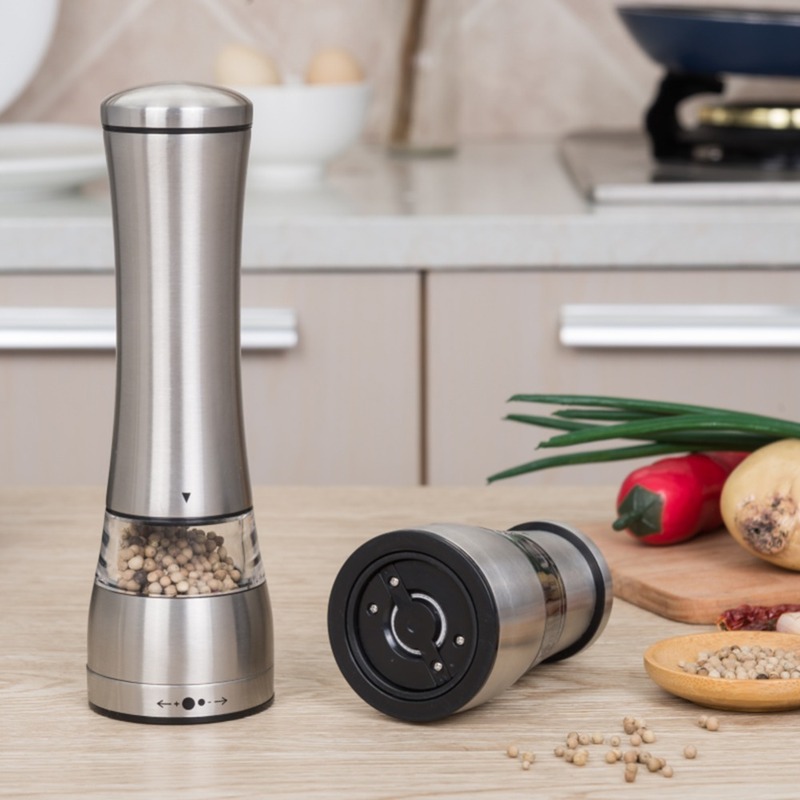 A fine grind can be used for a delicate sauce or mixed raw vegetables, and a coarse grind for grilling a steak or making other dishes. Hold the bottom of the mill with one hand; twist the long turning arm clockwise and counter-clockwise repeatedly for a fast and quick grind. 5. 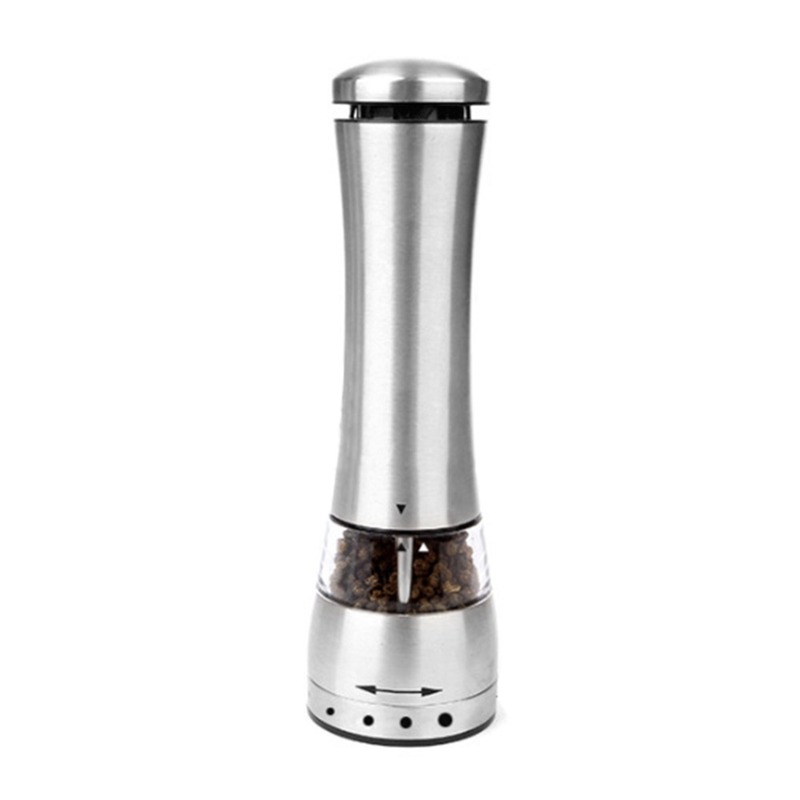 Robust ceramic grind makes quick work of your favorite spice easily. 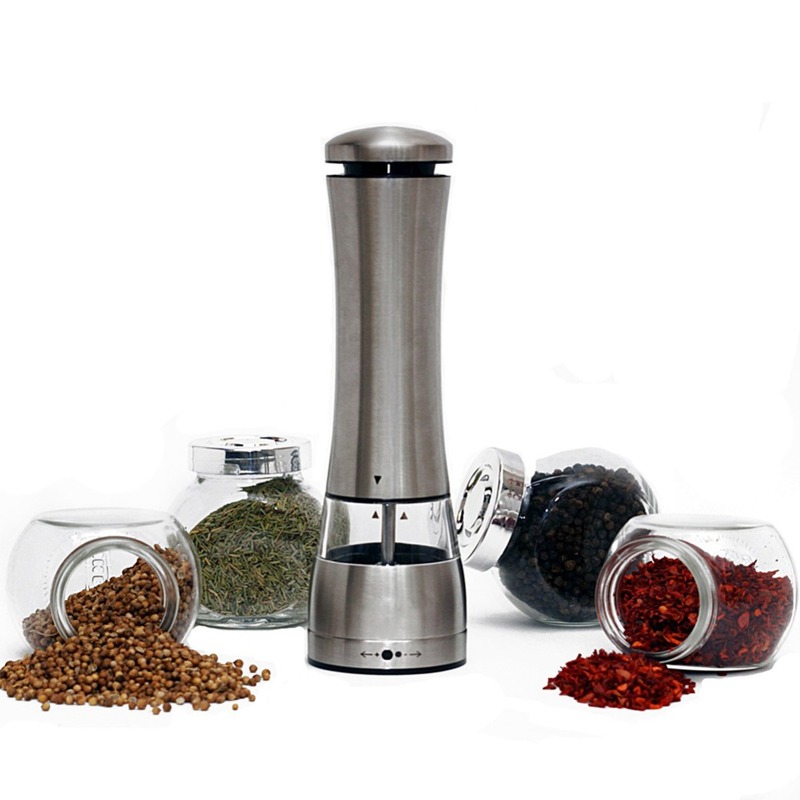 Nonslip handle is ideal to grind ingredients to add authentic and exciting flavors to any dish you create. 2) Put in salt or pepper of appropriate amount. 3) Open the cover on bottom. 4) Twist to align the upper and lower LEFT triangle to close it. Be careful not to spill the contents. 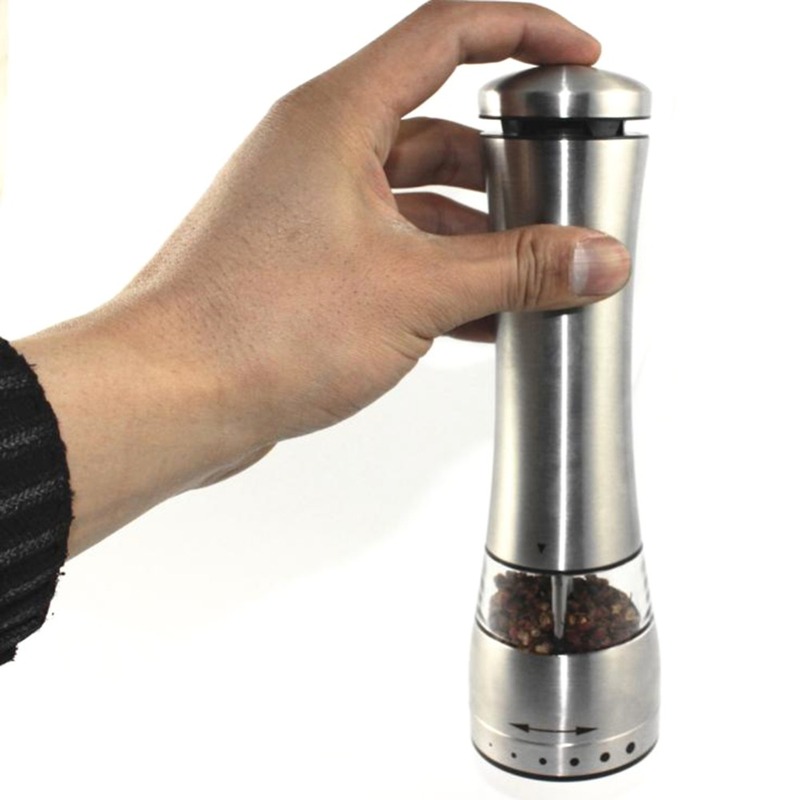 Adjust the coarseness to your preference, press the button and season all your foods nice and easy! 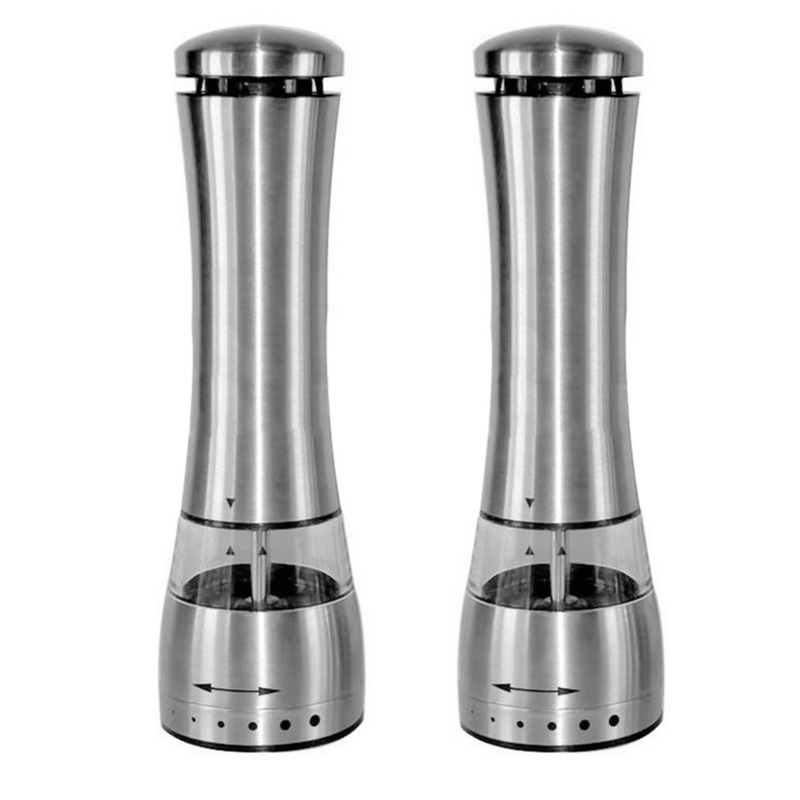 Being portable and cordless you can carry them along at picnics and outdoor BBQ gatherings.